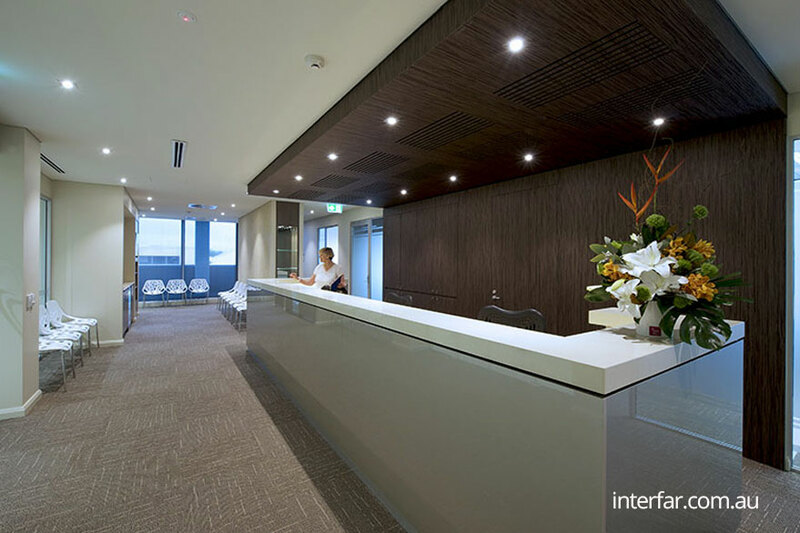 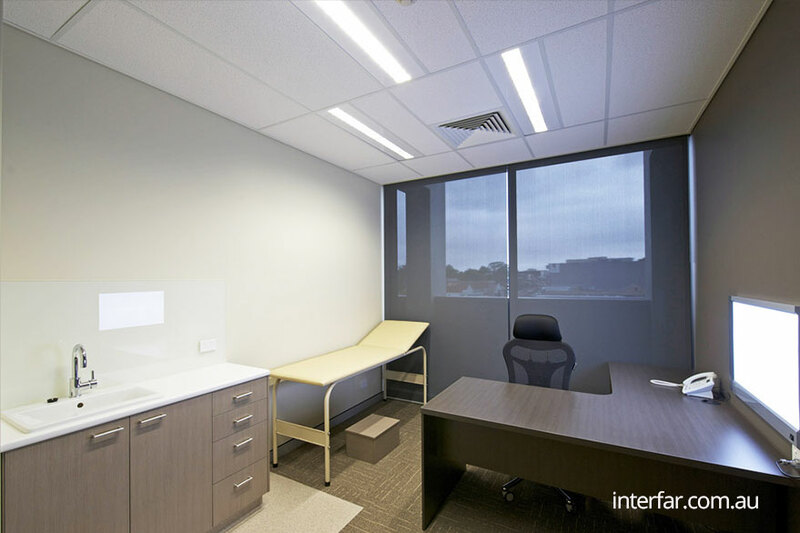 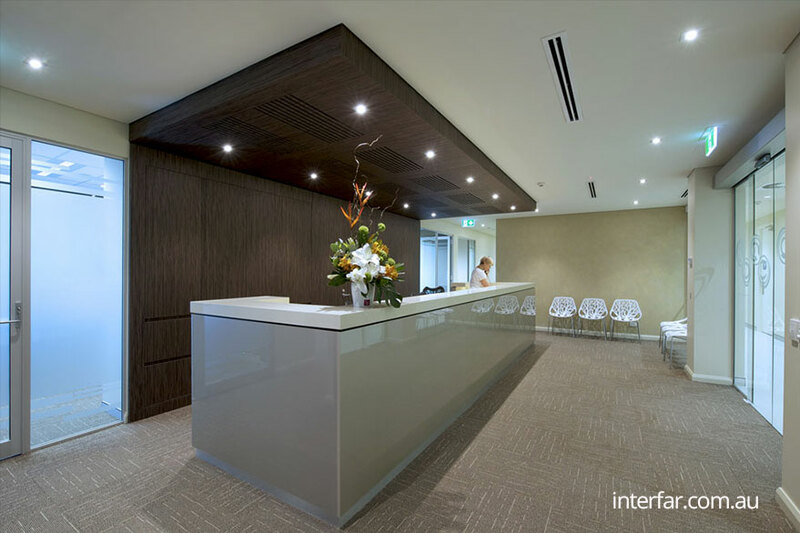 The joinery for this project comprises of reception counter with feature bulkhead and rear cabinets, patient waiting room display cabinets, café style kitchenette and magazine rack. 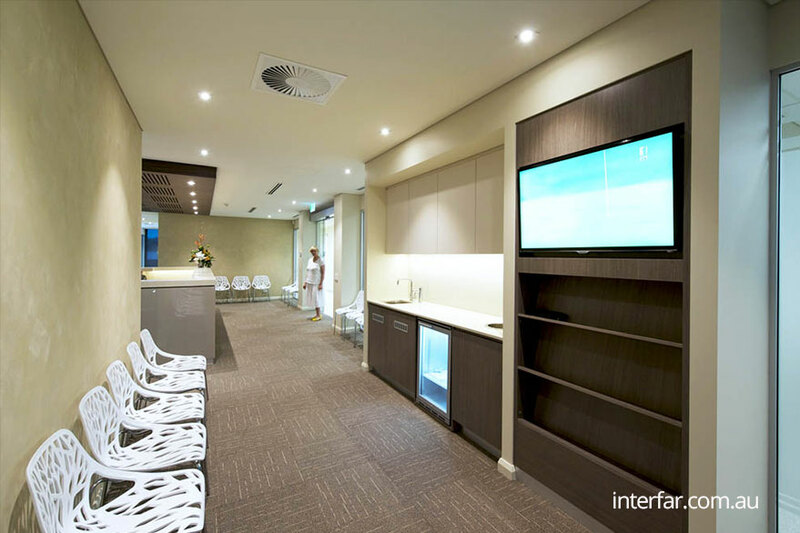 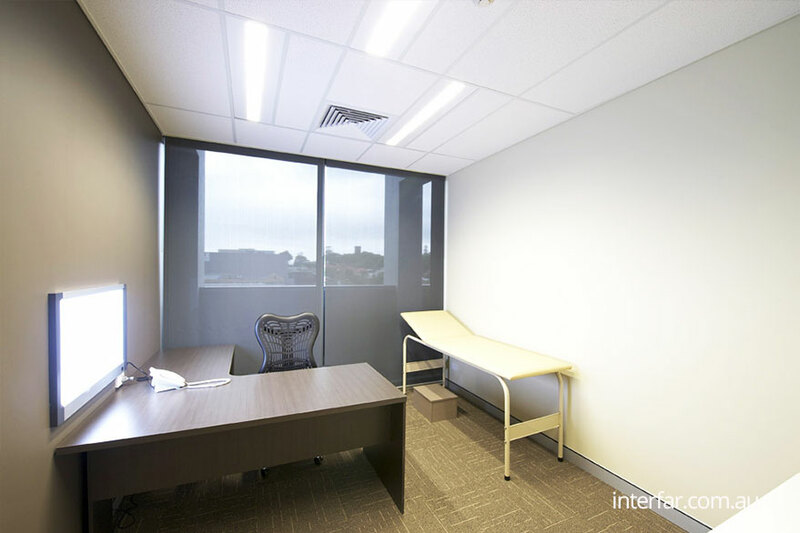 The procedure rooms included vanities, workstations and many other various joinery items. 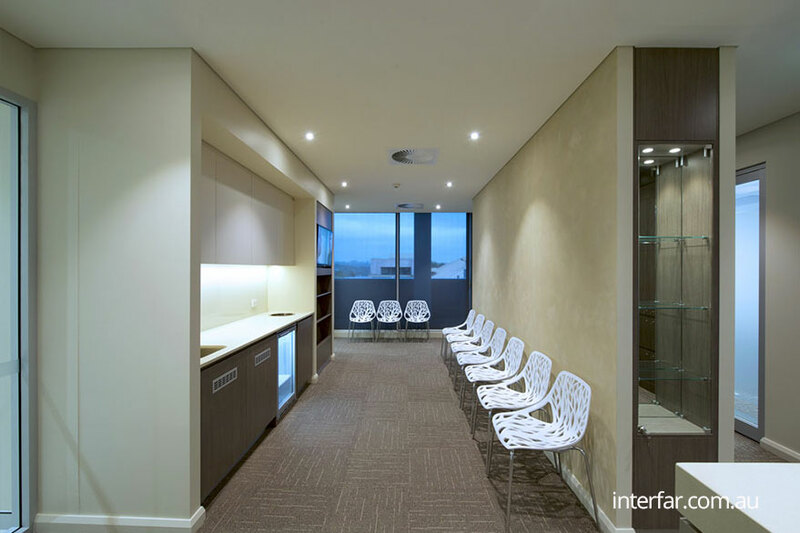 The joinery is predominantly finished using a combination of coloured laminate, Polyurethane and New Age veneers.